I tried to come up with something super easy to cook for dinner tonight. 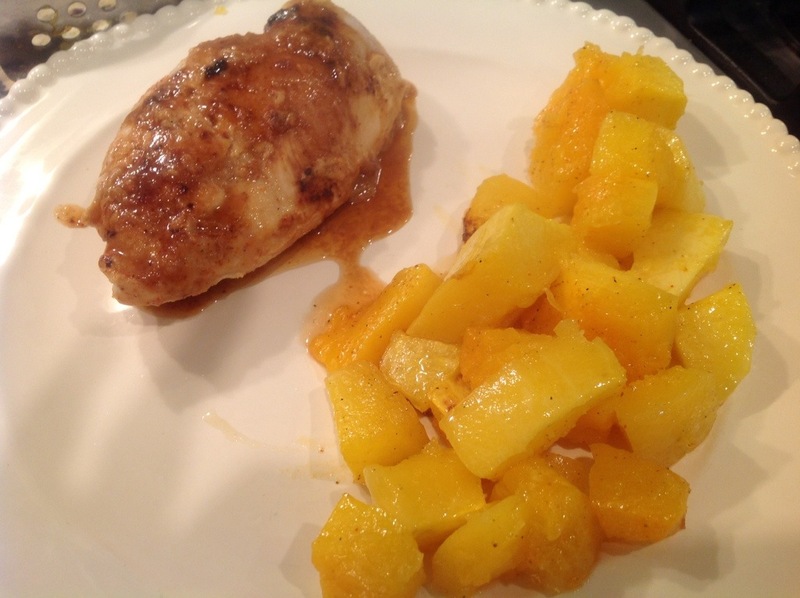 I made this chicken and served it with oven roasted butternut squash. 4. Pour on chicken and bake for 35 minutes.